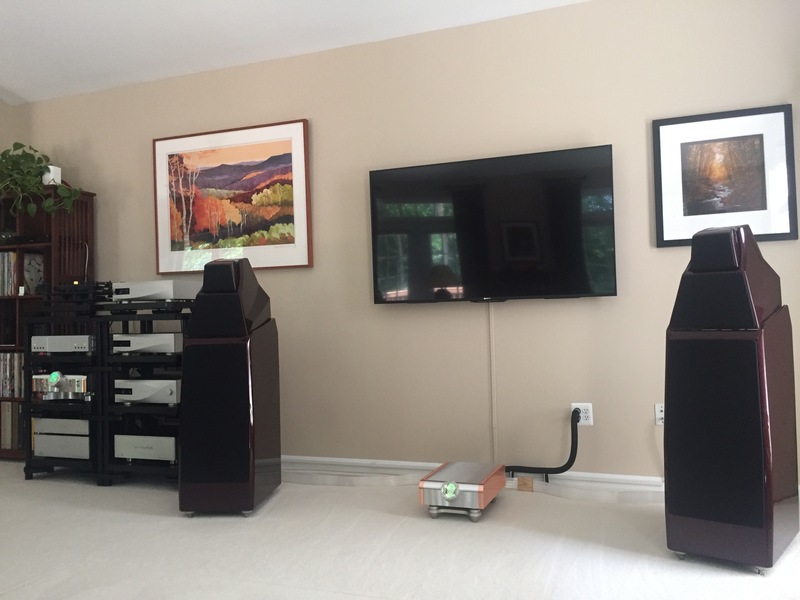 I upgraded my system (Gato Amp DIA400S and Auralic Mini Streamer connected to Dali Rubicon 6) with the Nordost QB4 and Heimdall 2 Power Wires. Soundstage improved a lot – also got way more crisp sound. Also tried the Heimdall 2 Speaker Cables then – and guess what ? They all stayed – the same improvement like above and also less base and more natural sound than before with my Goldkabel Cables. Now waiting for upgrade one day the streamer and digital cable to Heimdall as well ! Super highly recommended stuff – The QB4 ist the best supply solution I heard in my system ever !!! You got to wonder why Power cables were not updated first? Maybe they have already to the rest of the system can’t tell but the power to the amp does not look like a Nordost cable.